The controversy over Lord Neuberger’s comments on Radio Four’s “Top Dogs” documentary continues. Last week, Lord Phillips made in clear in newspaper interviews that he did not agree with the concerns expressed by Lord Neuberger. In an article published on 14 September 2009, The Lawyer argued that Lord Neuberger, who will take up office as Master of the Rolls on 1 October 2009, had gained political clout by reason of his comments. The argument is a bit difficult to follow. It appears to be that Lord Neuberger has raised his public profile and so increased his political power. This will, apparently, help him in driving through changes proposed by Lord Justice Jackson’s review of civil litigation costs. This seems to us to be too convoluted by half. Lord Neuberger’s point – which was the view of the majority of the Law Lords at the time when the Supreme Court was proposed – was based on the “if its not broke, don’t fix it” principle. There can be no doubt that the proposal for a new court introduced in 2003 was muddled and confused. The story is well told in Andrew le Sueur’s essay “From Appellate Committee to Supreme Court: A Narrative” in the rich and rewarding new volume The Judicial House of Lords, 1876-2009 (OUP, 2009), edited by Louis Blom-Cooper, Brice Dickson and Gavin Drewry. No mention is made of the “glass of whisky” referrred to by Lord Neuberger but the story is not an edifying one. As Professor le Sueur comments “There was a deep irony, apparently unnoticed within government, that reforms justified as aiming to enhance public perceptions of judicial independence were announced as an executive fiat”. Nevertheless, the point remains that positioning of the final court of appeal within the second chamber of the legislature was a constitutional anomaly and, as Lords Bingham and Steyn had forcefully argued before 2003, reform was long overdue. It seems likely that this argument will run and run. “The fact that the Supreme Court will be, and will be seen to be, separate and independent from the government and parliament should be welcomed. That will strengthen the rights of the citizen against the misuse of the powers of the state”. 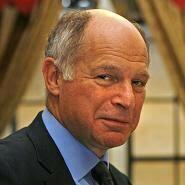 Leave a reply on "Lord Neuberger – the controversy continues"